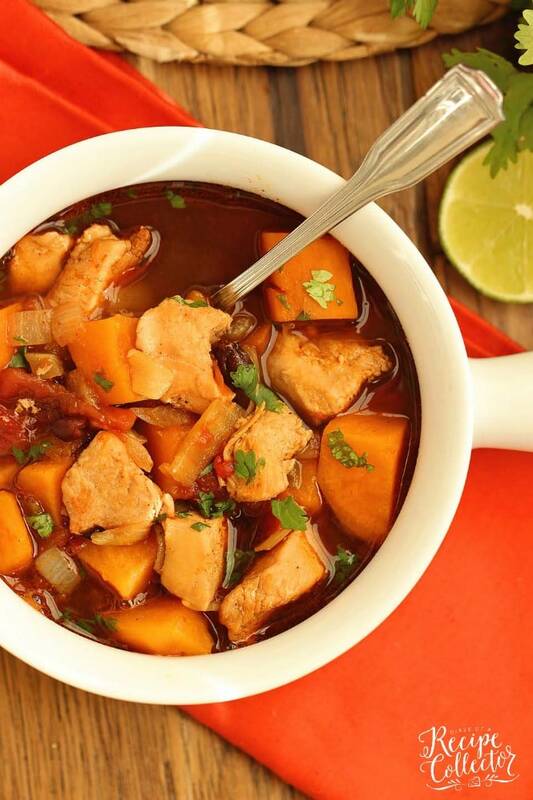 Mexican Chicken, Black Bean, & Sweet Potato Soup – An easy, healthy soup recipe idea perfect for cool winter months! Plus, it’s only 2 freestyle weight watchers points! Happy New Year everyone! I wanted to start the first recipe of the new year on the blog with something healthy because I know that is what many of you are searching for right now. 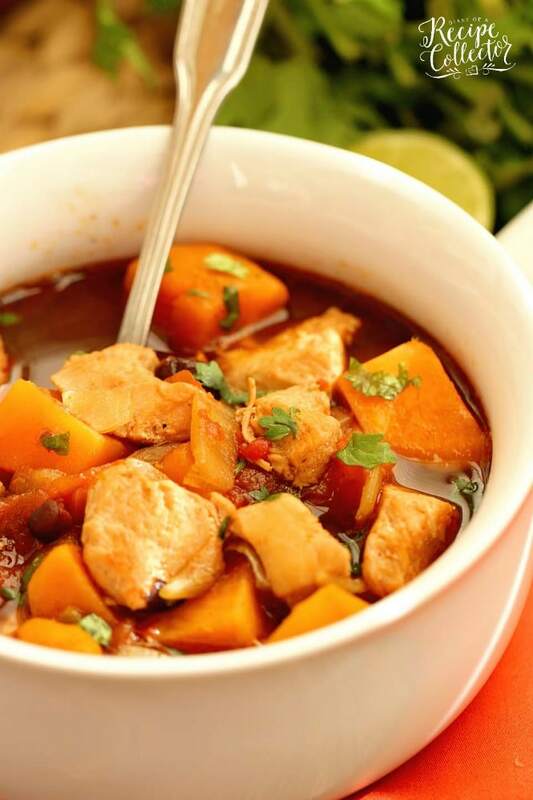 I made this Mexican Chicken, Black Bean, & Sweet Potato Soup recipe a few weeks ago. It’s perfect for all this crazy winter weather! We are definitely having a winter this year in Louisiana. I love it! It actually got us in the holiday spirit this year too! It’s no fun to sweat during Christmas folks. I love me some tropical weather, but not during hot cocoa season. I like fires, fuzzy socks, and cozy blankets during my winter time too much. So this 20 degree weather is so fun!! We even had REAL SNOW 3 weeks ago!! And winter weather is this foodie’s dream. I crave all things comfort food right now, but I know it’ll be time for bathing suits and shorts soon. 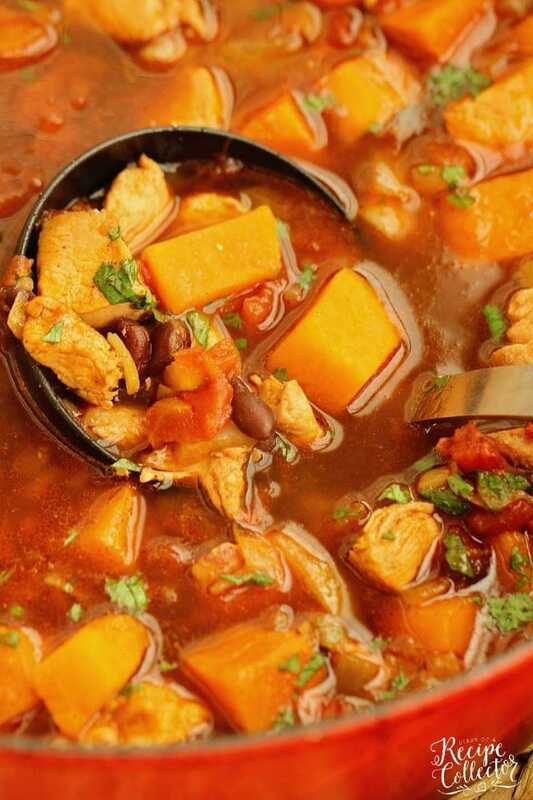 So this Mexican Chicken, Black Bean, & Sweet Potato Soup is great for heading in that direction! Plus it is SO EASY. I’ve been making soups on Sunday, and I portion them off for my lunches during the week. They are super filling and low-calorie. I have found that I can lose some extra pounds making that one little change in my eating! For this recipe, I used 2 sweet potatoes, but you can definitely cut that back to 1 if you prefer. 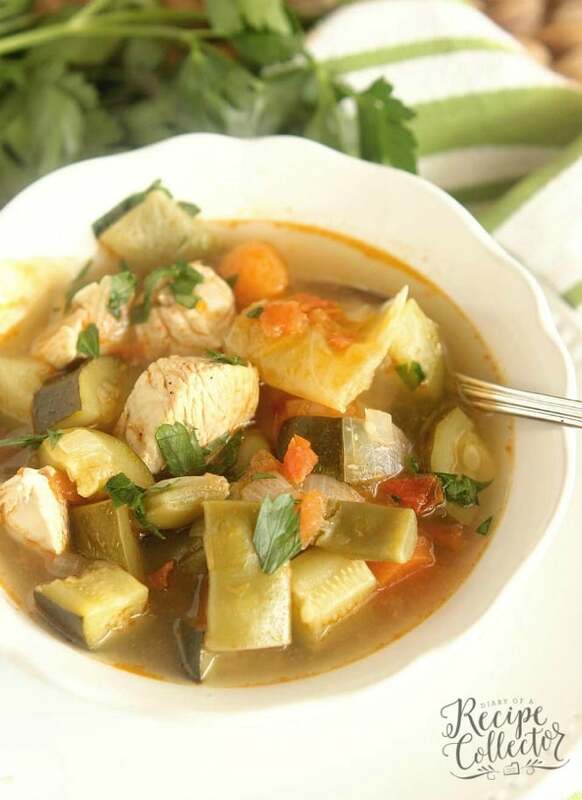 And if you are looking for other soup recipes, be sure to see the ones I’ve linked below!! This recipe can totally be made even easier in an Instant Pot!! I don’t use the olive oil or saute the veggies when I do this. It saves on calories too! Just put it all in the instant pot, stir, and cook for 15 minutes! 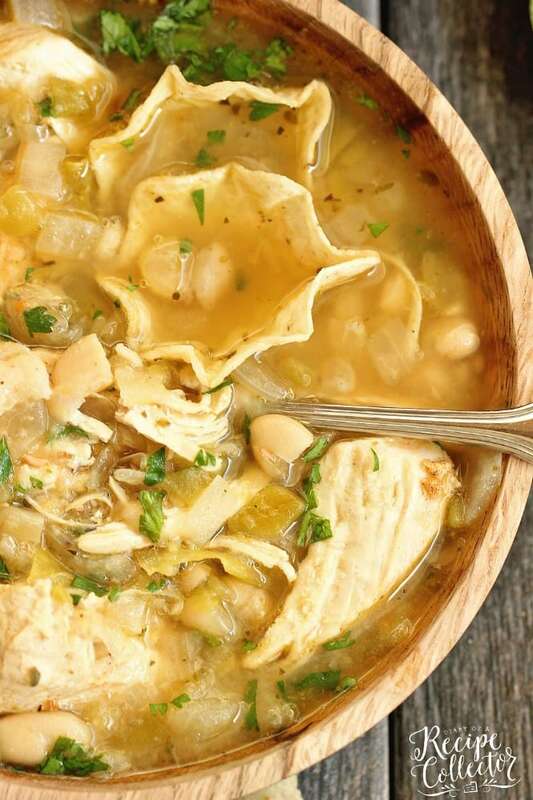 You can even use frozen chicken breasts in your instant pot. Just cook for 20 minutes. 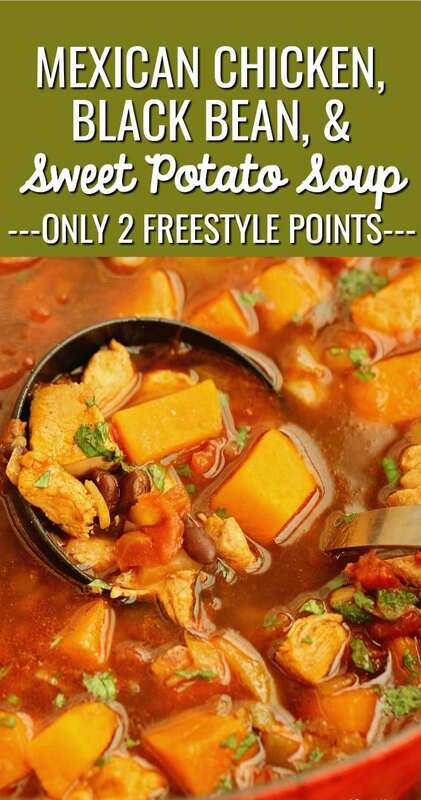 This recipe is only 2 freestyle points. If you omit the olive oil by using an instant pot, it’s only 1 point! It’s the perfect meal-prep recipe for your lunches and it freezes great! I freeze it in individual plastic containers and take the to work. Sometimes, I add only 1 sweet potato when I don’t want too much of it. A rotisserie chicken really works AWESOME with this recipe! Season cut up chicken with 1 tsp creole seasing. In a large pot, heat olive oil over medium high heat. Add chicken and cook for about 7 minutes stirring to brown on all sides. Add sweet potatoes. Season with remaining 1 tsp creole seasoning, cumin, and chili powder. Stir and cook about 5 to 7 minutes. Add diced tomatoes, black beans, and chicken broth. Bring mixture to a boil. Once boiling, reduce heat to medium-low to medium simmer for about 30 minutes. Remove from heat. Add juice of ½ lime and stir. Top with cilantro and serve. A rotisserie chicken works great with this recipe!! 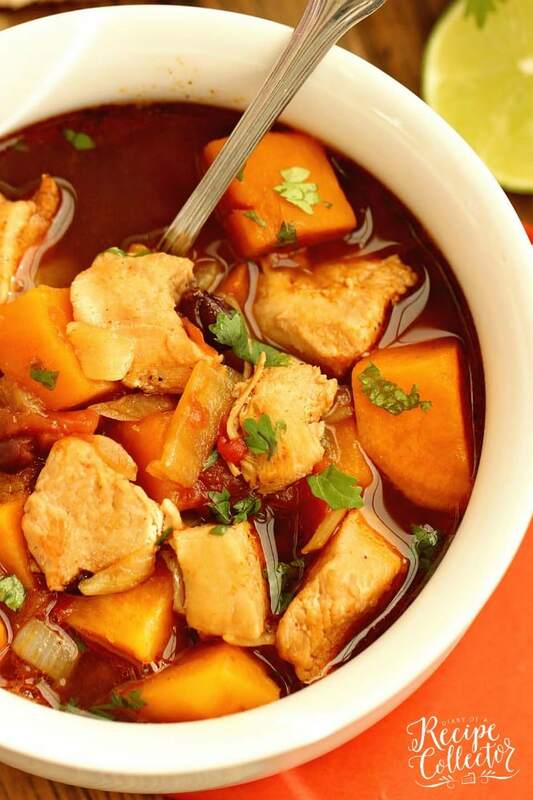 Looking for other healthy soup ideas? Click here for other LIGHTER RECIPES on the blog!